TUCSON, AZ (KOLD News 13) - Court documents reveal that a Tucson woman is the sister of the man she is accused of stabbing to death on Friday, Feb. 15. 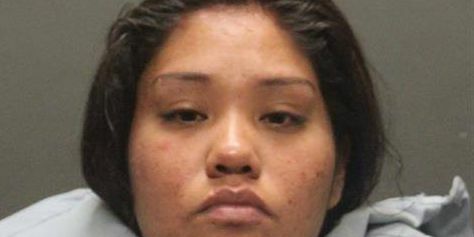 According to the initial complaint released on Tuesday, Feb. 19, Dee-Lora Lena Lopez allegedly sent text messages to her sister and cousin before calling police to report that she stabbed her brother. Tucson Fire Department paramedics pronounced Jubi Lopez, 21, dead at the scene. Dee-Lora Lopez had blood on her hands and clothes when she was taken into custody, according to the document. She and her brother were alone in the apartment at 190 W. Valencia Road when the stabbing happened, police say. She is being held on a $1 million bond, facing a charge of first-degree murder. According to the initial complaint, she allegedly stabbed her brother multiple times after an argument. The document says he tried to leave the apartment, but she stopped him and threw him to the floor and stayed with him until he stopped breathing.